A campaign that aims to stop transgender discrimination in hair salons and barber shops is gaining momentum, including support from a major fashion brand. Transgender discrimination is a daily occurrence, especially when it comes to gender-specific institutions, according to the campaign’s creators. While issues like “allocated” bathrooms are among the more common topics of public discussion, a far less-acknowledged everyday issue for trans people, yet equally historically gendered, is the simple act of getting a haircut. There are salons for women and barbershops for men. Both, too often, leave trans people feeling uncomfortable and unwelcome. Created by Terri & Sandy and Barba, the men’s grooming salon based in New York City’s Chelsea neighborhood, the campaign includes a video featuring fashion designer Marc Jacobs. The AIDS Healthcare Foundation along with its transgender support organization, Flux, are partnering to help spread the word. Strand for Trans brings together supporters of all kinds — trans or otherwise — creating a new community of people who value equality in its most basic form, Meyer tells Marketing Daily. “Hair is hair. People are people,” Meyer says. “And they deserve to be treated as such. This campaign was created pro-bono — everyone who touched the project donated their time. So we're relying heavily on word-of-mouth, and the involvement of major brands and key figures (such as Marc Jacobs) will help achieve our goals of raising awareness for this important issue and creating more trans-friendly spaces." 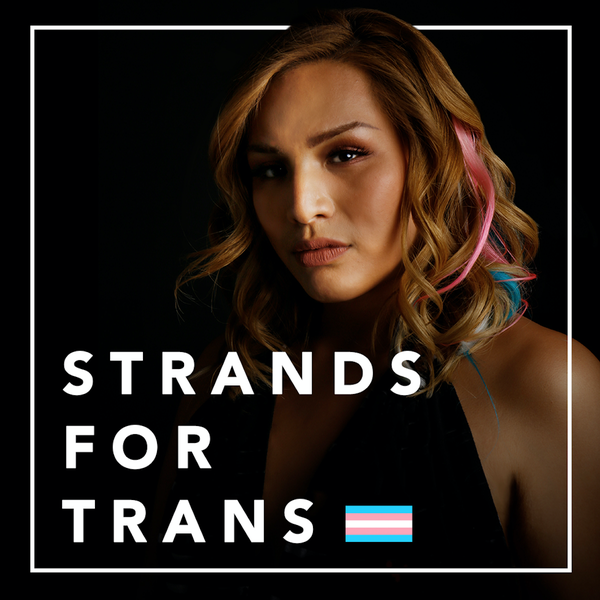 The effort is comprised of online video, including a central call-to-action spot, “Barber Poles,” a campaign video called "Pink, White & Blue,” and a series of victim testimonials, print ads and posters and a social campaign centered on #strandsfortrans. Everything drives people to the StrandsForTrans.com website, where businesses can register themselves as safe/judgement-free places for transgenders to get their haircut, download a pink, white and blue sticker (the colors of the transgender flag) to place in their windows indicating the same, and also get further info on how to support the Strands For Trans movement. Similarly, the site offers ways for people nationwide to get involved whether through social or on the local level. More than 60 barbershops and salons have signed up thus far. “The fight to stop the hate doesn’t end after Pride,” Meyer says. “We believe Strands for Trans will ignite a movement."